Unleash your inner creativity and take beautiful photographs with the Sony a7 Mirrorless Camera with Zoom & Standard Prime Lens Bundle. 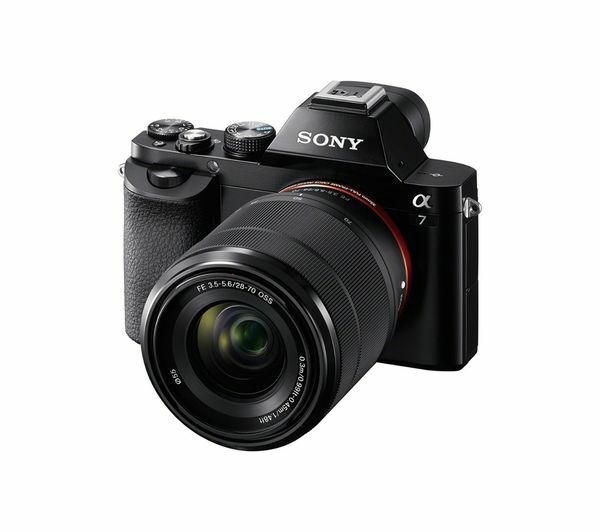 With a mammoth 24.3 megapixel count working with a full-frame image sensor, the interchangeable lens camera produces an incomparable picture performance. 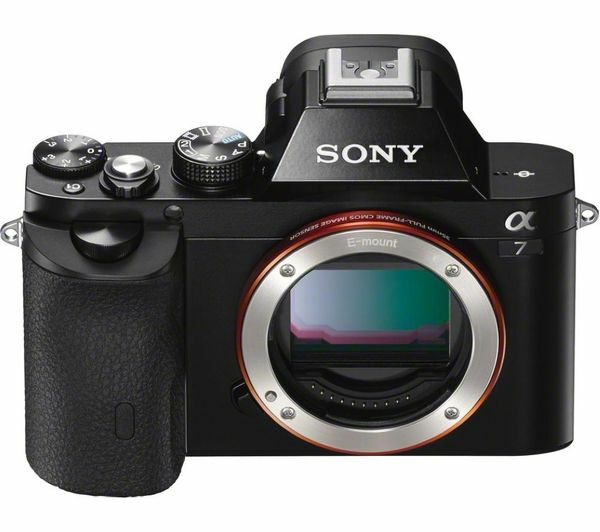 The Sony A7 camera shoots with speed and accuracy, capturing the scene with professional quality. The palmed-sized compact gives you shooting comfort, intuitive functionality and a precise AF performance. The high-speed BIONZ X processor engine ensures natural details, richer tonal gradation, lower noise and remarkably clear detail. 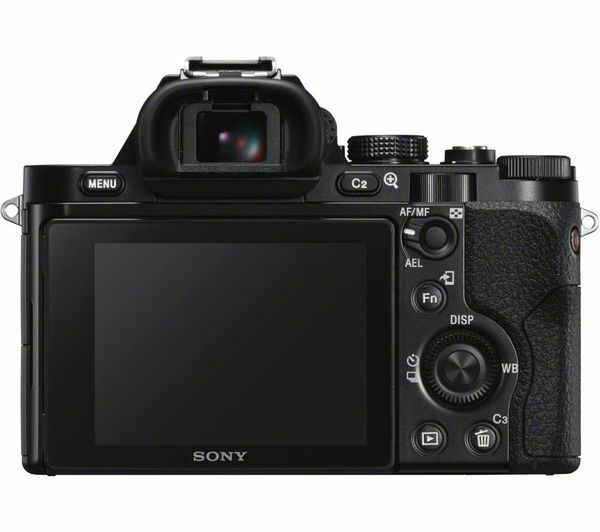 Fast hybrid autofocus allows you to get the most from the full-frame image sensor. This AF system combines speedy phase-detection with highly accurate contrast detection, achieving an impressive focusing speed. The 117 densely placed AF phase-detection points dramatically improve the AF performance, giving you a better chance of capturing those challenging shots in crystal clear lucidity. Lock onto your subject and capture the action with a continuous burst of images at 5 fps. 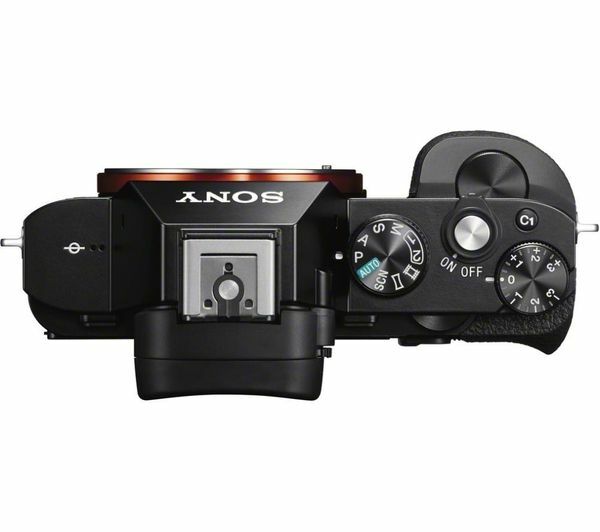 The OLED Tru-Finder viewfinder allows you to see the exact view of the shot in high resolution. Record Full HD movies in smooth 60 frames per second - capture those moments how you see them and enjoy them back in cinematic detail. The high performance audio and Clear Image Zoom allow you to capture striking closes up with great sound to match. A 3” LCD tilt screen makes it easier to capture at tricky angles, it also gives you a comfortable viewing when you want to playback your photos and movies. 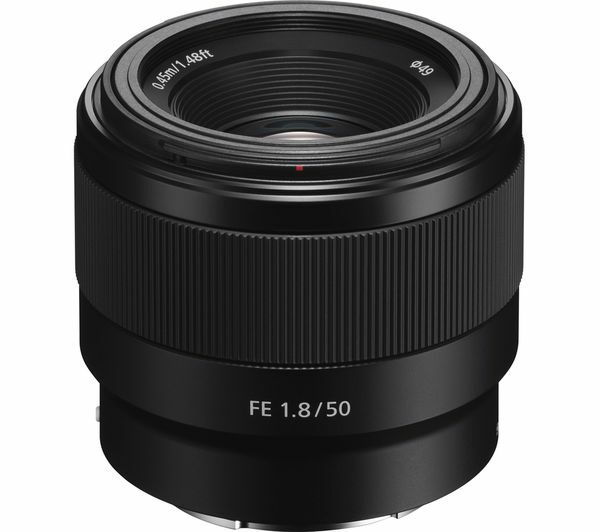 The FE 50 mm f/1.8 features a compact, lightweight design so that you can take it with you wherever you go. Providing impressive portability and handling, the lens is an ideal addition to your camera accessories. 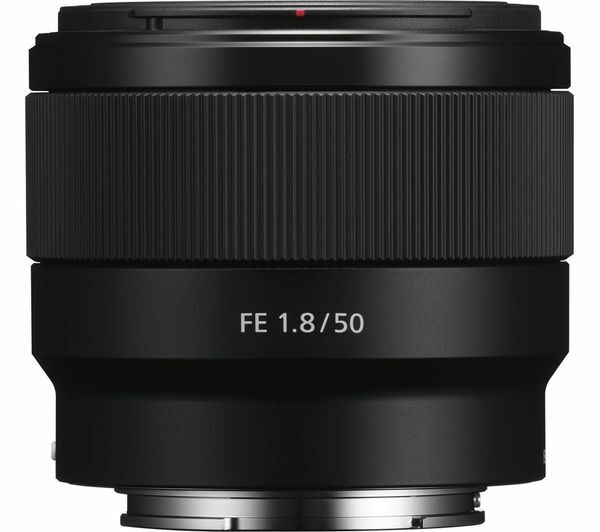 With a large maximum aperture of f/1.8, the FE 50 mm f/1.8 allows you to shoot with confidence at night or in dimly lit interiors. A seven-blade circular aperture makes it possible to create attractive bokeh effects to make the subject stand out. This can help you to capture those memorable moments, creating artistic and professional images. 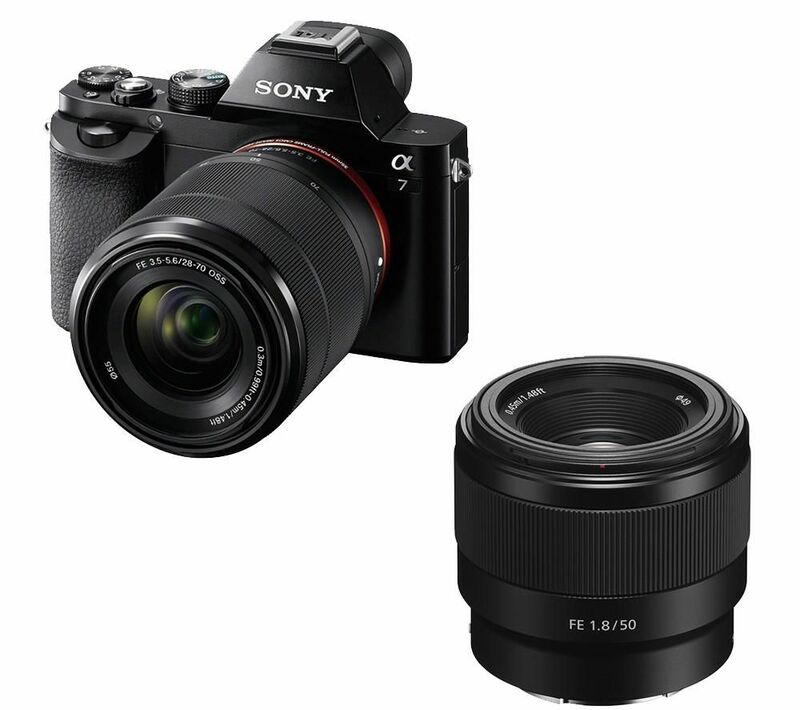 Offering both autofocus and manual focus controls, the FE 50 mm f/1.8 has a DC motor drive which allows you to focus quickly and precisely, all with a quiet and efficient operation.